Spring is finally here in Michigan! Now is a good time to add a fresh look to your front door with a splash of paint to welcome you home. How to pick a paint color for your front door? My client knew she wanted a turquoise color, but looking at all the paint swatches available, she wasn’t sure which to choose. During my on-site consultation at her Lake Orion home, I assessed the color of her stone, siding, shingles, and landscaping to determine the undertones. 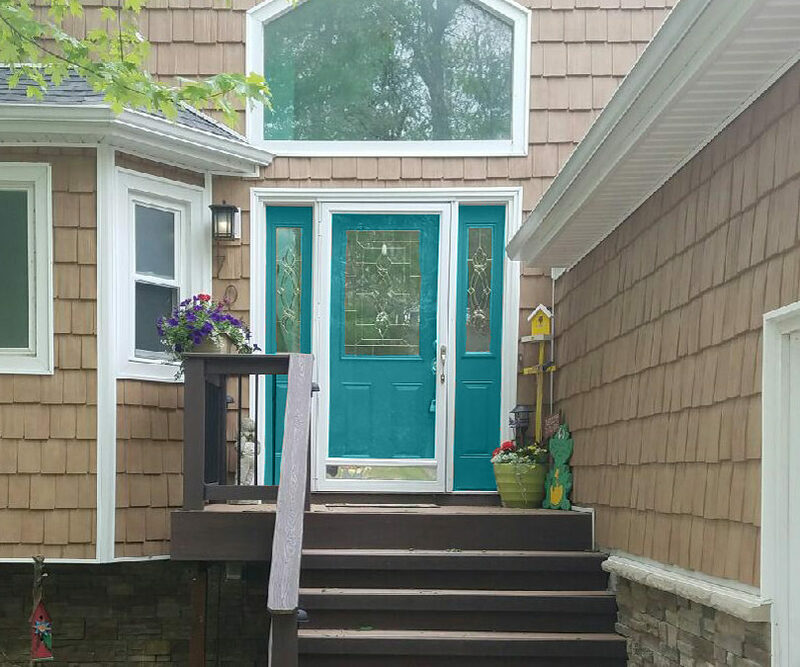 Because her siding had orange undertones, we decided turquoise would be the perfect color to complement her exterior, especially because she already knew she liked it. We then looked at various large samples I brought to see how they looked in the lighting available. Her house faced North, so I knew we’d need a version of turquoise that would brighten the entry, avoiding the tones with more gray. Also, I made sure the color of the door looked good with the foyer walls inside her house, since the door would be open at times. A triad color scheme that added lime green from the accessories on her porch completed the design plan. Following the rules of design and color, Color Confident Home will help you choose the perfect paint color for your front door. Call me at 248-509-4720.